Despite not being a real Nissan under all that carbon fiber, the Nissan-branded FIA Formula E Gen2 race car unveiled today at the 2018 Geneva Motor Show is absolutely freaking hot. 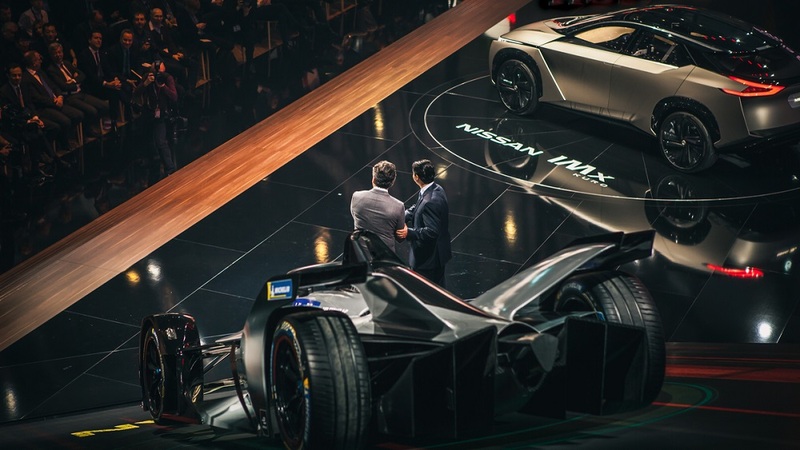 In addition, the racing livery's announcement confirms the Japanese automaker's commitment to further developing zero-emission, electric powertrain packages for various vehicle applications—including racing. The livery was masterminded in Japan by the Nissan Global Design team, and it's meant to highlight the race car's silent but explosive performance. 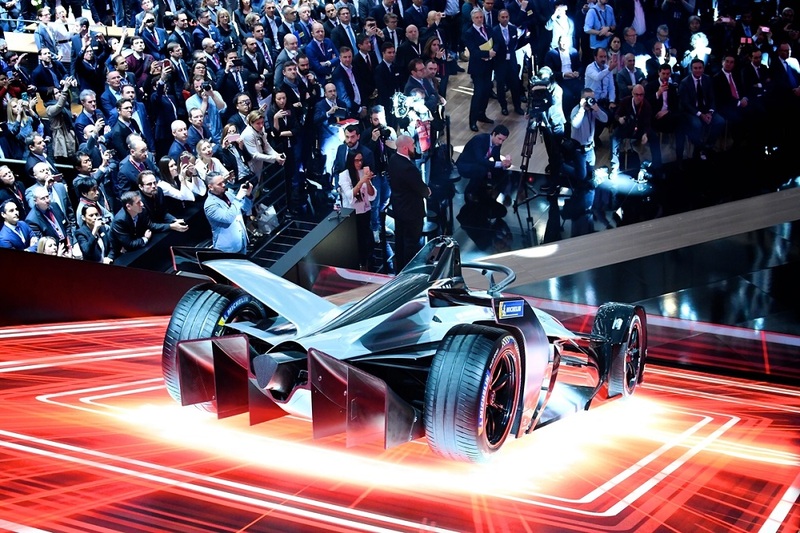 "At first glance, the Formula E car looked to our design team like an EV-powered supersonic bird in flight," said Alfonso Albaisa, Senior Vice President of Global Design at Nissan Motor Co. "Naturally, this initial reaction from the team started us on a path that captured a sense of a form breaking free of resistance and gravity. Thus we turned to the Doppler when designing the livery." The FIA Formula E Gen2 boasts nearly twice the battery capacity of its outgoing counterpart and will be capable of reaching speeds of nearly 175 miles per hour. As a result of the powertrain and aerodynamic improvements, the range of the vehicle has been doubled and there will no longer be a need to swap cars halfway through the race. "Nissan is proud to be an innovator in electric vehicles on the road with the Nissan Leaf completing more than four billion zero-emission kilometers around the world," said Jose Munoz, Chief Performance Officer, Nissan Motor Co. "Now, we want to bring that EV expertise to motorsport." 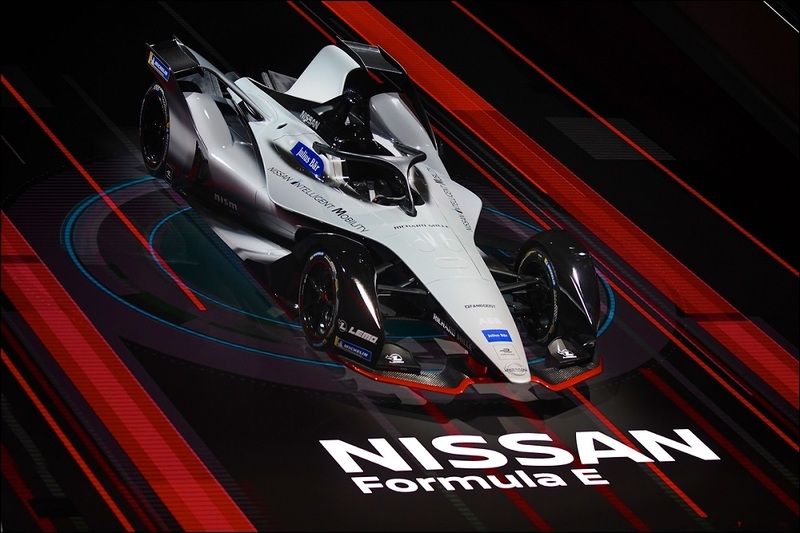 Nissan will kick off its involvement in Formula E during the series' fifth season which kicks off in December 2018 and concludes in the summer of 2019. The brand sees Formula E as more innovative than Formula 1.